He rolls into the championship round, where Sam Grindle awaits. OAKLAND — After playing 30 holes of golf Wednesday morning — which came after playing 33 holes of golf Tuesday — Jack Wyman loaded his clubs in the trunk of his car and called it a day. Was he going to stick around Waterville Country Club to see who he’d play in the Match Play Invitational championship Thursday morning? Wyman continued his dominant summer, cruising to a 7 and 6 victory over Craig Chapman in the semifinals. 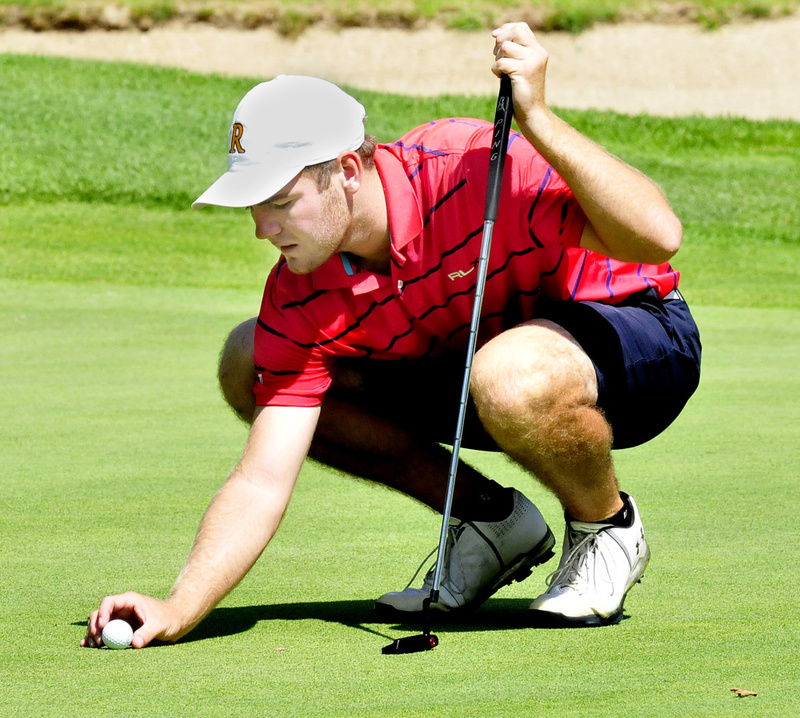 Wyman will meet Sam Grindle in the Match Play final, which is set for 7:30 a.m. Thursday. Grindle, who defeated No. 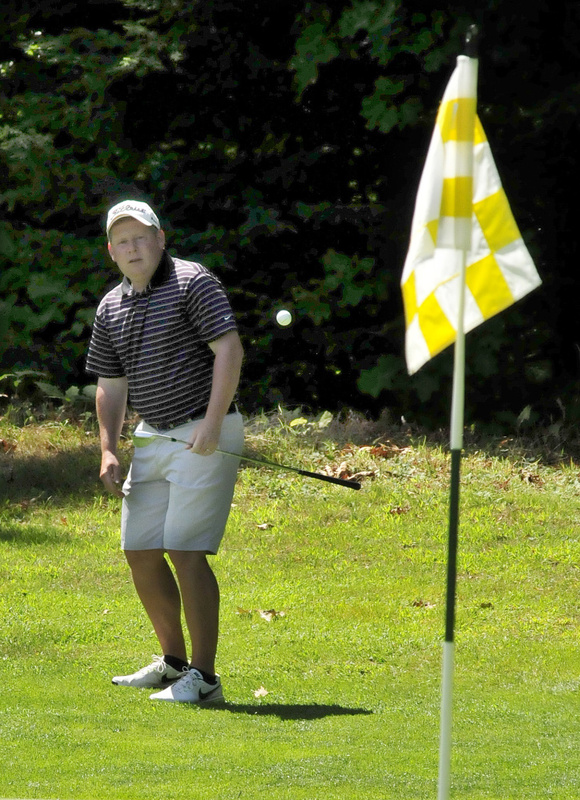 3 Joe Baker 3 and 2 in the semifinals, placed second to Wyman in the Maine Am at the Brunswick Golf Club in July. “I’ve played a lot with Jack in the last five or six years. I’ve played with him a bunch. He’s a good guy. Should be a fun one,” Grindle said. Wyman’s match against Chapman was close early. Wyman went 1-up on the third hole and then won six consecutive holes — seven through 12 — to clinch the match. 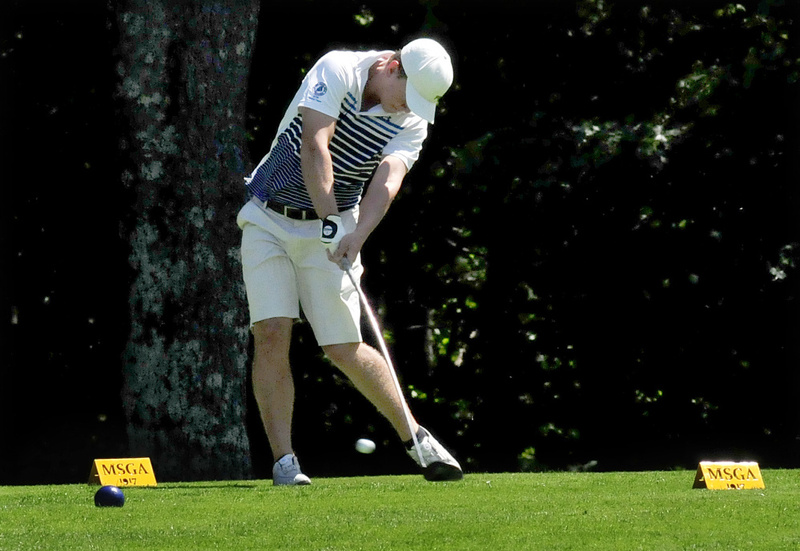 While Wyman bogeyed hole seven, Chapman double bogeyed the par-4, 320-yard hole, pushing Wyman’s lead to 2-up. Wyman then birdied three of the next five holes, clinching the match with a birdie on 12. “I just kind of grooved it out. I figured out something that was working for me. After that, the putts were just dropping,” Wyman said. While the match got away from Chapman late, his birdie putt from the fringe of the green on the first hole kept the match all square after Wyman’s approach shot landed just a few feet from the pin. The Wyman-Chapman match tied for the shortest of the tournament. 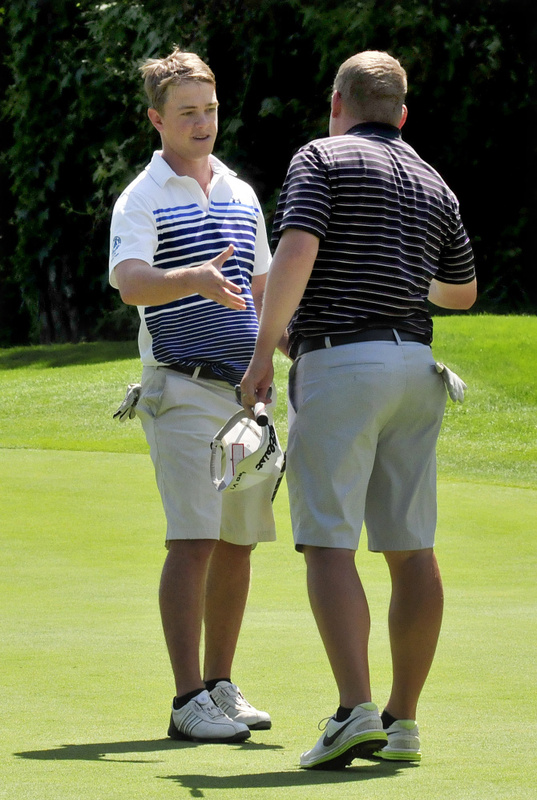 A first round match Tuesday between Lance Bernier and Jeff Cole also was decided in 12 holes. For Wyman, it was the first match since the opening round that did not come down to the final hole. Earlier Wednesday morning, Wyman advanced with a 1-up win over Bernier. Wyman held a 3-up lead over Bernier after eight holes, but Bernier clawed back to tie it with a birdie on 16. Wyman’s birdie on 18 gave him the win. In Tuesday’s round of 16, Wyman knocked out Mike O’Brien with a birdie on 18. In the other semifinal, Grindle trailed Baker 2-down after three holes. However, Grindle won holes four and six to square the match. He then pulled ahead when he made par on seven. Grindle went 2-up on 14 and 3-up when Baker bogeyed 15. Grindle clinched the match when he and Baker halved 16. “Match play, you never feel like you really have control, especially when my biggest lead was 2-up until the final few holes there. It never felt like it was under control. He played solid golf, but he made a couple mistakes. Neither one of us played very well coming in but I was able to get it done,” Grindle said. 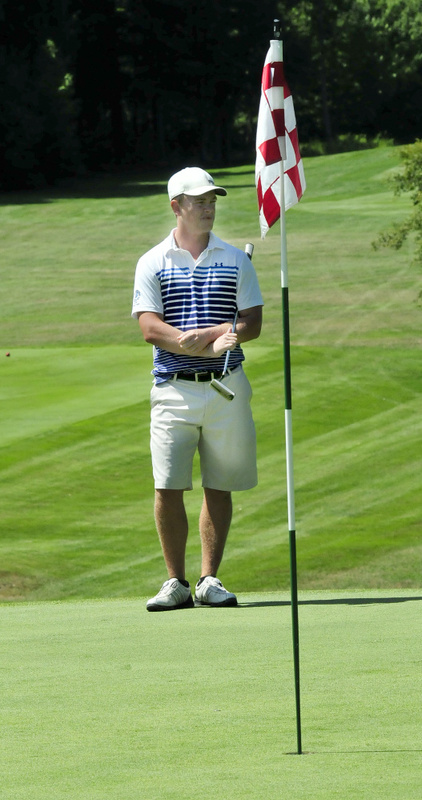 Grindle advanced to the semifinals with a 3 and 2 win over Andrew Slattery, the 2015 Match Play Invitational winner. Chapman took a 3 and 2 win over Tim Desmarais to advance to the semifinals, while Baker advanced with a 2-up quarterfinal win over Will Kannegieser, last year’s Match Play Invitational runner-up.